Eric wrote to his love two or three times a week for five years before and during World War II. His letters, which were brought to light after more than sixty years, were full of messages of love interspersed with news of everyday life at the time. 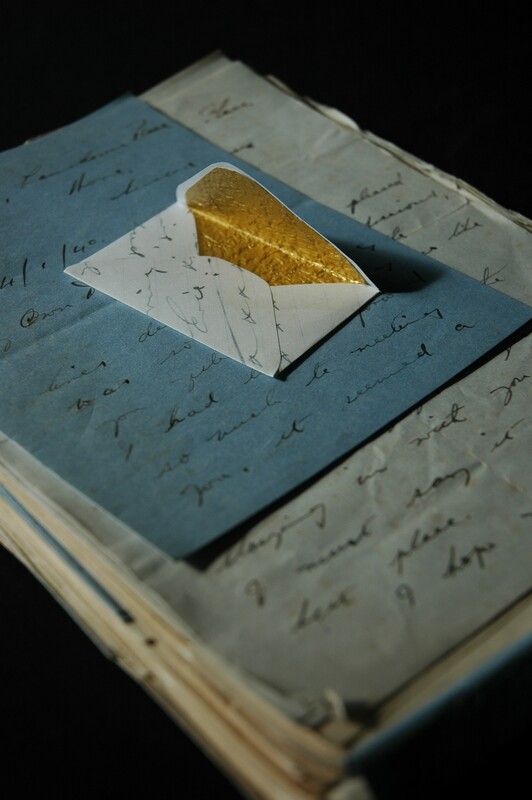 I feel very privileged to own the letters which inspired me to make collections of tiny, individually handmade envelopes, each lined with gold paper. 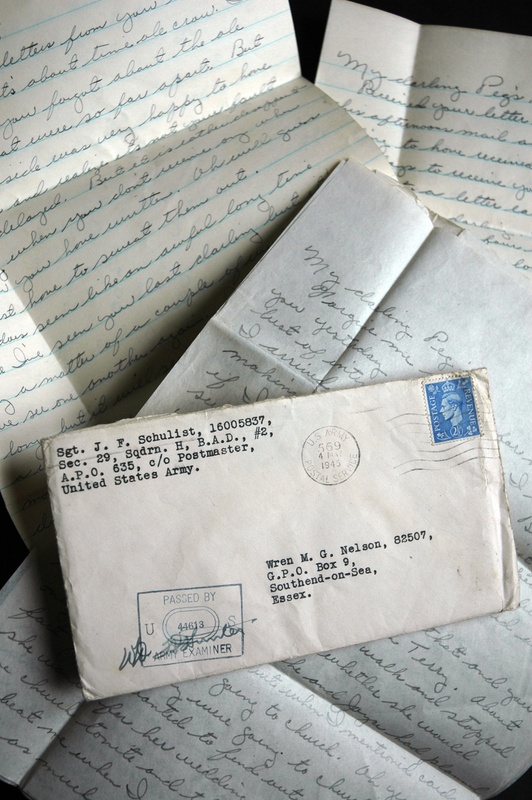 Joe‘s letters to Pegs started towards the end of the War when they were separated. He continued to write to her when he returned to America. Unlike Eric, Joe was rather more extravagant with his paper and only wrote on one side. I’m trying to find Joe, so do get in touch if you can help me. His letters will be used in some future work. Read more here and watch the story of my search on American TV here. Such a sweet sentiment to inspire with a beautiful Love Letter project!